Have a penpal, Japanese friend, old host family or co-worker you want to e-mail in Japanese? This guide should be a great reference to impress your Japanese friends. That is, at first at least, but you can also use it to build up your studying to help towards fluency (at least when it comes to messaging). I find that having a reference to is invaluable, especially because most e-mails, letters and messages you receive from Japanese people are written with lots of complicated kanji. So this guide is written with all that kanji. Don’t panic! Even if you’re not an advanced learner who understands every kanji under the sun you should still be able to understand everything. You can use Rikaikun for Chrome or Rikaichan for Firefox to highlight Japanese words so you can understand their readings and meanings. And don’t forget all the great Japanese dictionaries out there. If there is a kanji or word you don’t know make a note of it and add it to your daily studies. Practice writing e-mails or short messages to your friends or just on Lang-8 as often as your can and that’ll really help your writing and comprehension speed. There are lots of websites telling you the proper way to layout your e-mail for business, host family or a friend, or even how to layout a hand written letter. Generally a Japanese letter should be laid out similar to how you would write it in English. Never leave someone’s name blank, always add さん or さま otherwise it’ll come across too impolite, even if you know them well. Letters, e-mails and messages are always written formally with ます form (formal), but it is always good to use けいご (very formal) where possible (try not to use short/dictionary form). The following has a mix of the two. Don’t make long complicated sentences, it often works better to keep them short and to the point even if they would normally be long in English. Please excuse this sudden e-mail. The weathers slow gotten warmer/colder. I am sorry for have worrying you. If you have any questions or queries feel free to ask me. I apologies for my bad Japanese. I have been back in the UK for 5 months now and the weather in England is getting cold. How is the weather in Japan? I have not been studying much Japanese because of my new job. I got a job as a translator and project manager for a car company. I plan to move to Tokyo next year. Next month I am doing a project at a local library teaching Japanese culture. I was wondering if you could send me some postcards of Japan? Regarding the E-mail from Andrew below, when we used the new device for programming, the programming failed. Even with the AFS Tool, programming failed. The log file and screen shots are attached. The failure is occurring at Step 04. Programming is successful with the old devices so at this point we cannot return this device to you (we will be unable to continue with development). There was an e-mail from Sue today that we would return this old device, but please allow us to keep this at the office at this time. When you’re writing a letter in Japanese it’s actually easier to not write it all in English first. This is because the English won’t always directly translate into Japanese and could make your Japanese sentences sound strange. Instead just make a note of what you want to include in your letter and then try writing the Japanese. You can use sites like Lang-8 to get people to spell check your errors before you send it. All vocabulary and phrases are on Memrise! 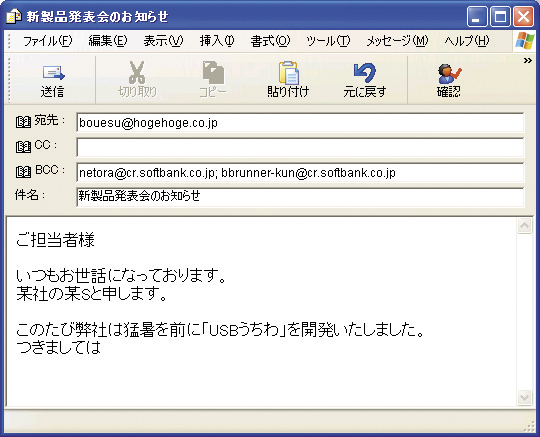 Tagged Advanced Japanese, Japanese emails, Japanese letters.